Rocky River Ohio Sports Injury FAQs | Ripepi Foot & Ankle Clinics, Inc. Is Running Bad for My Feet? Running places a lot of physical force on feet and ankles, but your lower limbs are equipped to handle this naturally. Part of the way they are able to handle the force is through a biomechanical process known as pronation. If your feet pronate correctly—more on that in a moment—running is generally not going to be bad for your feet. Pronation is a normal biomechanical process a foot goes through during the ground portion of a step. In this process, the foot actually rotates inward approximately fifteen percent (in a “normal” pronation pattern). If your foot either rotates excessively or insufficiently, areas of the foot end up handing extra force loads they aren’t intended to handle. Over pronation or supination (basically, not enough pronation) are both less-than-ideal, but there are ways to help with them. The running shoes you choose are important – as some pairs help control motion (for overpronators), whereas other provide extra comfort (for those who supinate). Beyond footwear, we can help by prescribing orthotic devices (if you would benefit from them). These shoe inserts can do a more customized job of regulating motion and providing cushioning. 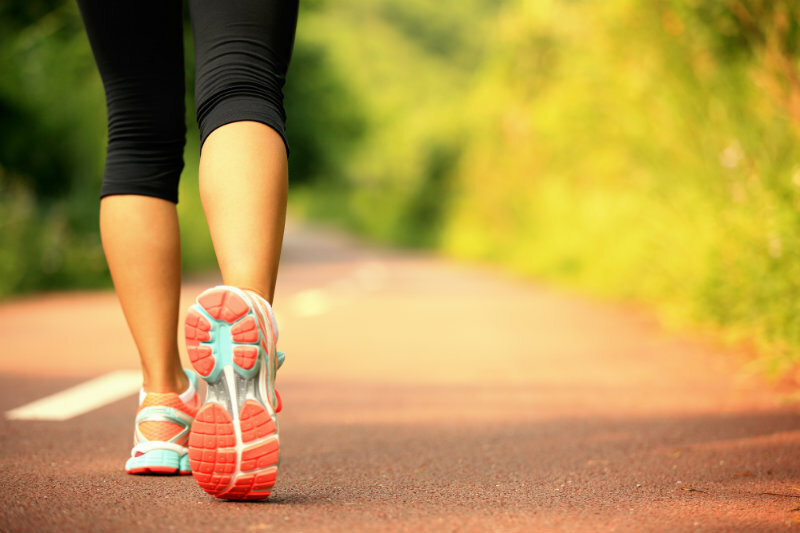 Regular exercise is essential for optimal foot health. Running can be a great choice, particularly if you are smart about it. The best course of action is to cross-train, which means incorporating both running and low-impact exercises (cycling, swimming, yoga, etc.) into your workout program. Not sure what is best for you and your lower limbs? Come see us – we can help! Ankle sprains take roughly 6 weeks to heal completely, but severe cases may take up to 4 months. The actual length for your recovery will depend on a variety of factors, including the severity of the injury, adherence to the treatment plan, and the initial measures taken following the sprain. To that last point, proper first aid following an ankle sprain is essential for faster healing. After the injury has been sustained, measures to control inflammation—including icing, elevation, and nonsteroidal anti-inflammatory medication—are especially important. Also, the use of the MLS laser on ankle sprains often helps quicken the healing process. No matter the length of recovery time, it is important for the injury to be completely healed before resuming physical activity. Going back to high-impact activities before complete healing can potentially cause chronic ankle instability. This instability includes a greater risk of reinjuring the affected ankle. Ankle sprains and fractures actually have similar symptoms, so you may want to visit us for an accurate diagnosis of your injury. Also, we can help you know when it is safe to resume your normal activities.